When Hollie and Sean Strasburg bought their loft in the Tire Town building in Salt Lake City, they knew immediately that they wanted to bring the space back to its industrial roots. 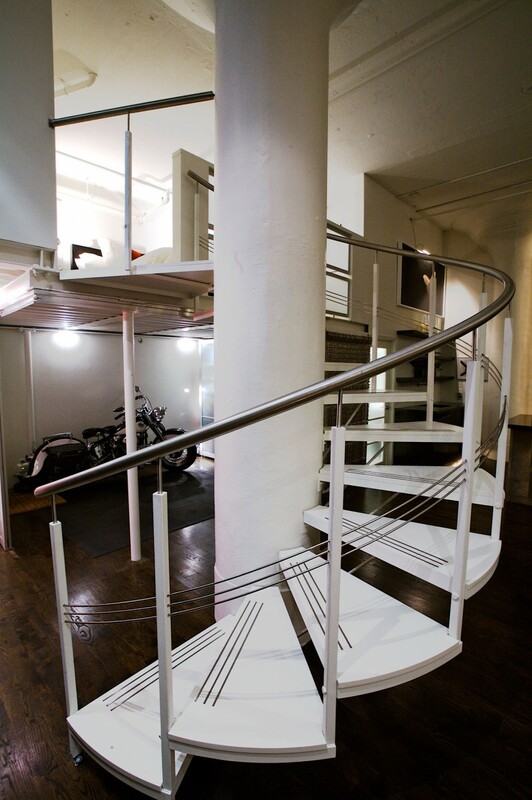 This is a converted industrial loft space on a beautiful lot in a great part of town. 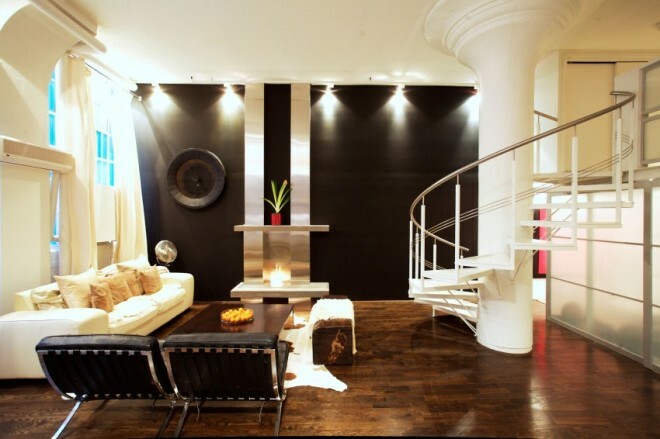 It has super tall ceilings, reclaimed floors, and an amazing mid-century decor. 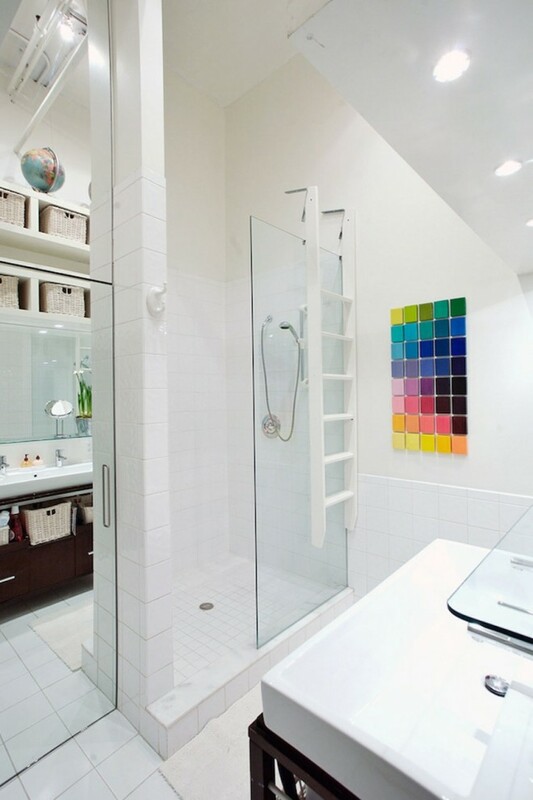 Unit 315 is a residential project created by the Canadian builder Dennis Dorion and his wife Dorion Scott. The project is located in the Wrigley Building – a former chewing gum factory in Toronto, Canada, which was converted into apartments during the late 1990s. 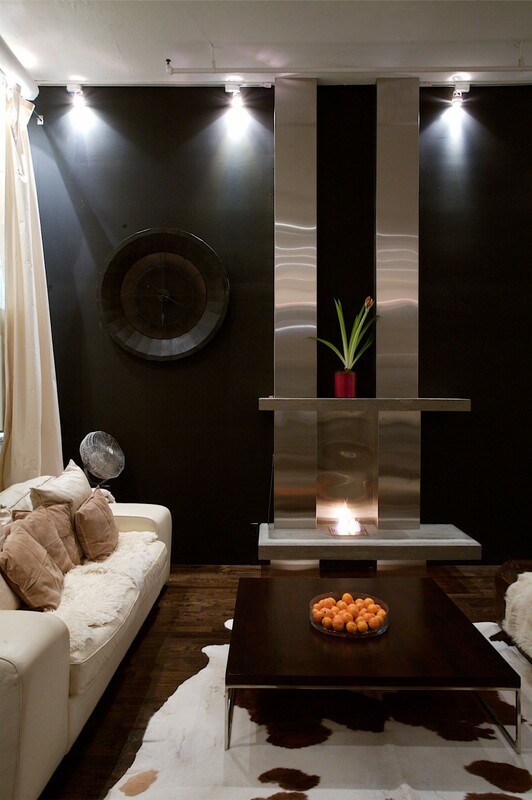 The interior of the apartment is contemporary and rich in details, integrating artistic elements with industrial ones. 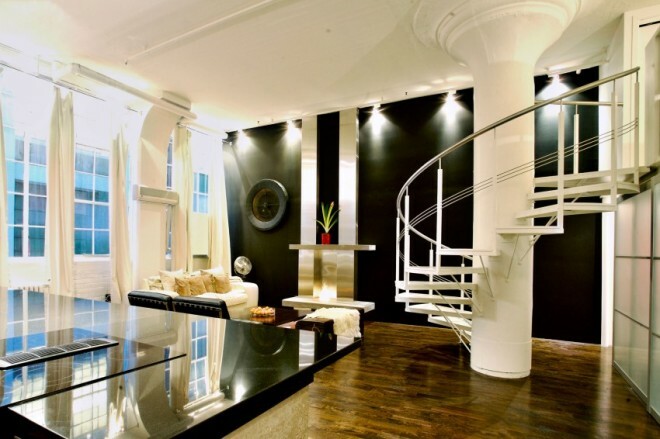 The predominant color on the walls and ceiling is white and a dark reflective floor offers contrast along with the dark tones of the side walls that are painted black. The overall neutral tones create a very elegant ambiance with long white curtains adding privacy and large windows allowing a good view of the surroundings. 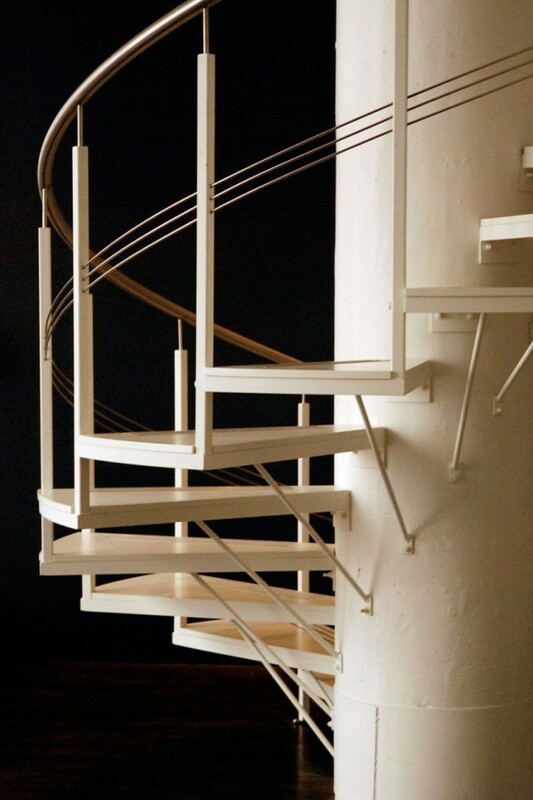 The lounge area is separated from the kitchen through a large island and the second floor is accessed through a spiraling staircase that also acts as a sculptural element in the living area. 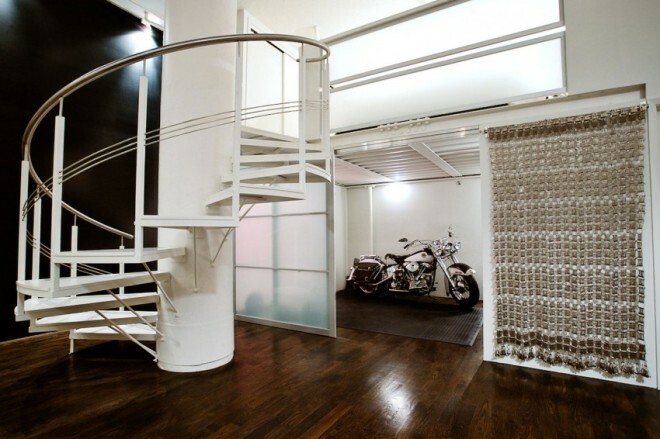 Another interesting characteristic of this space is that there is a separate room for the motorcycle so that it also becomes a part of the ambiance. 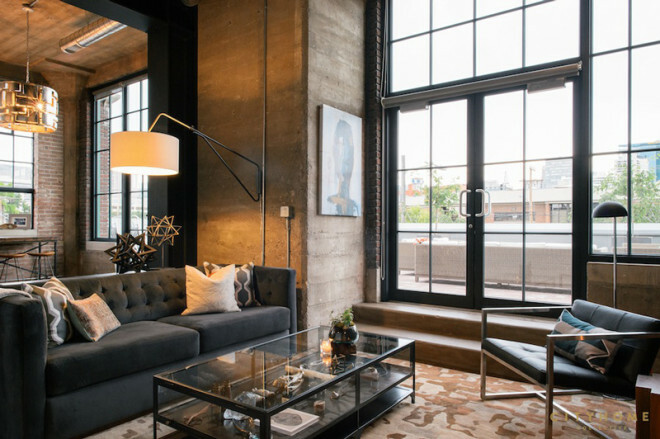 The Wrigley Lofts are the real deal. 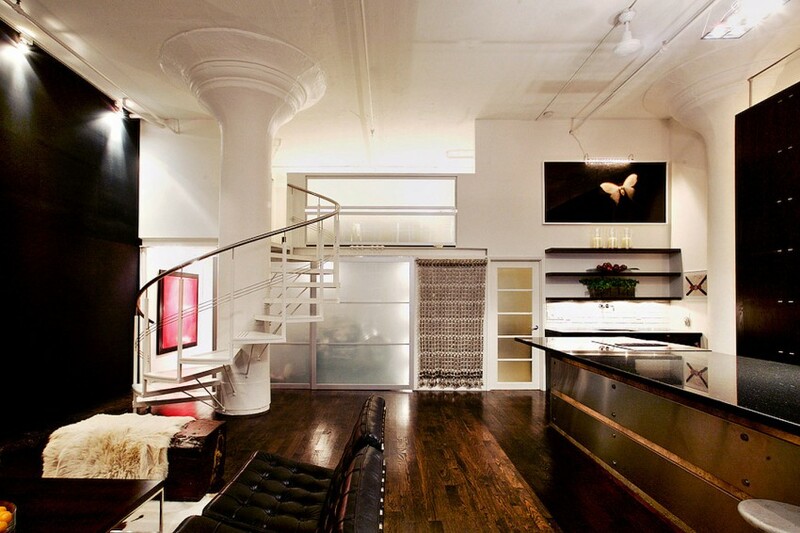 This is the type of place you picture when you think of a hard loft. No cookie-cutters here. 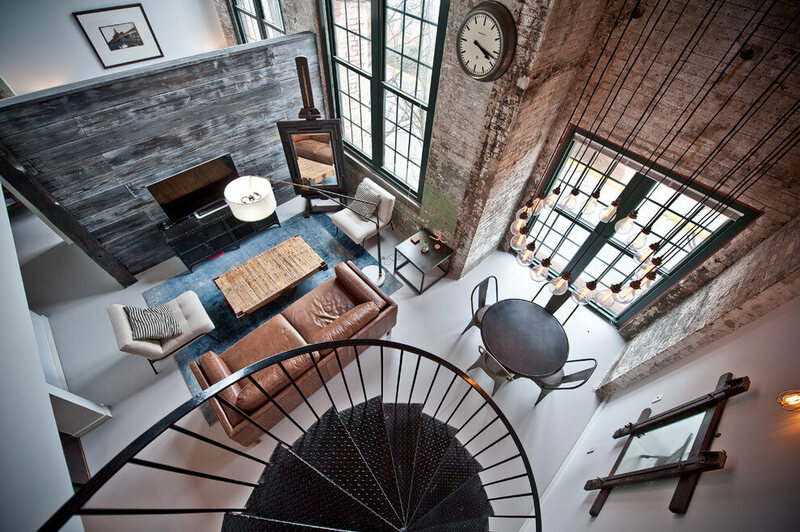 There are multiple lofts in this former factory – each unit is unique with different finishes and layouts – from the floors to the lighting. The first owners got the space from the developer about as raw as possible so each person put their own stamp on their unit. 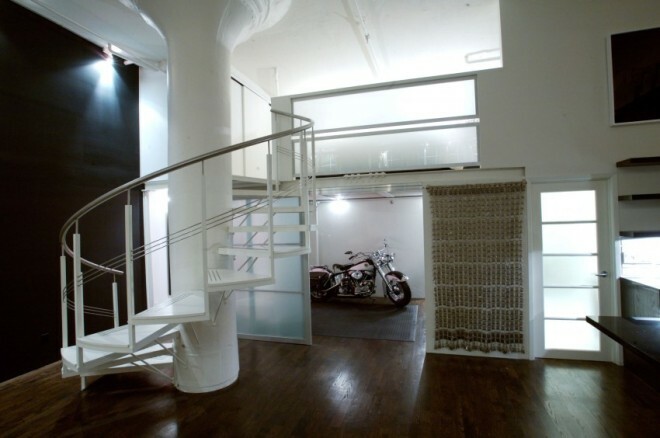 Because the ceilings are so extraordinary, many units have a mezzanine level and some even have direct freight-elevator access. Like in the movies. Except you are the hero. 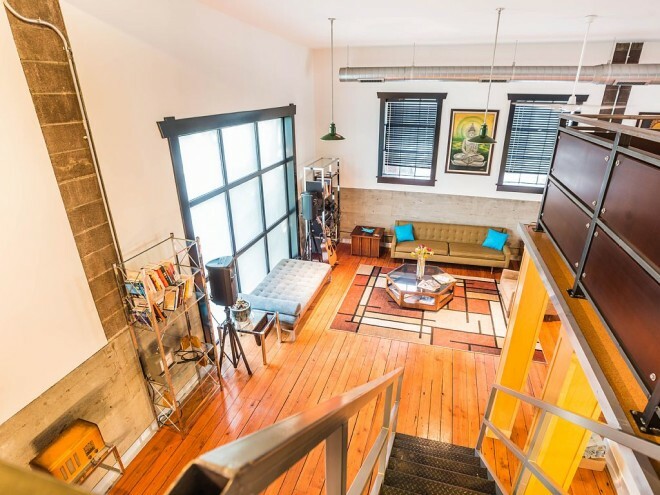 Suites feature original industrial windows, 14-foot ceilings, original concrete mushroom-style columns and the exposed pipes and duct work that one would expect in a true hard loft conversion. One of the best things about this building is the uniqueness of individual suites. Original purchasers of this building bought raw space from the developer for about $100/square foot, and each owner made these blank canvasses their own – consequently no two suites in the building are alike. 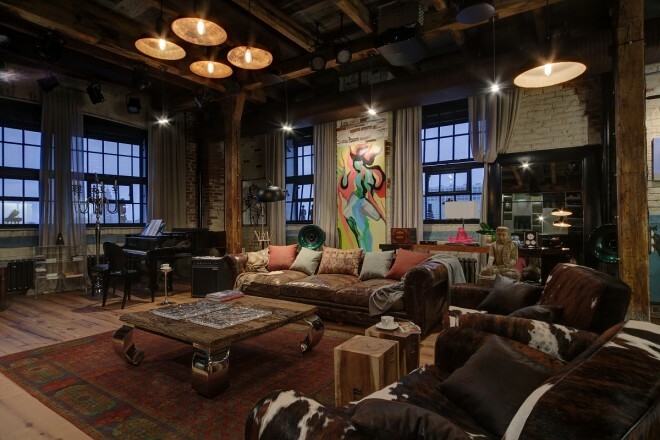 An old flour mill was converted into a fascinating industrial style loft by architect Robb Studio, located in Denver, Colorado. 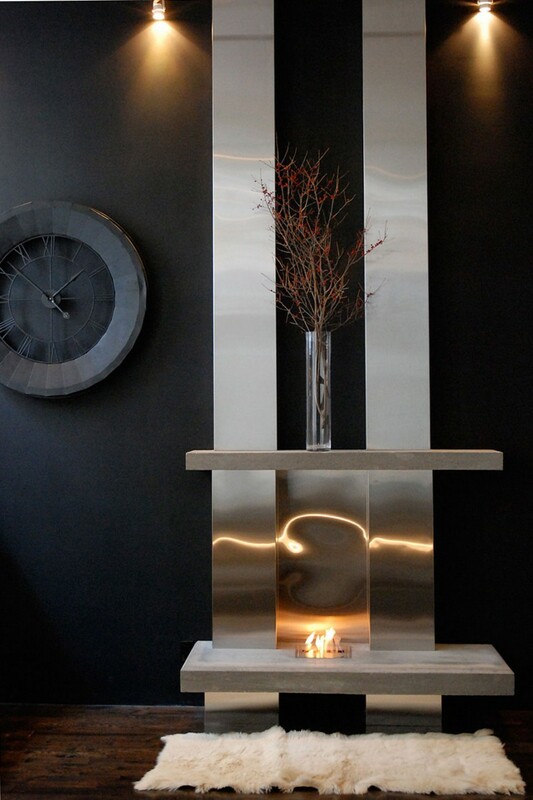 The client was just looking to make a few updates on their 3,000 square foot home, yet, in the end, made the decision to give the loft a complete modern transformation, creating a striking visual aesthetic with open spaces for entertaining. 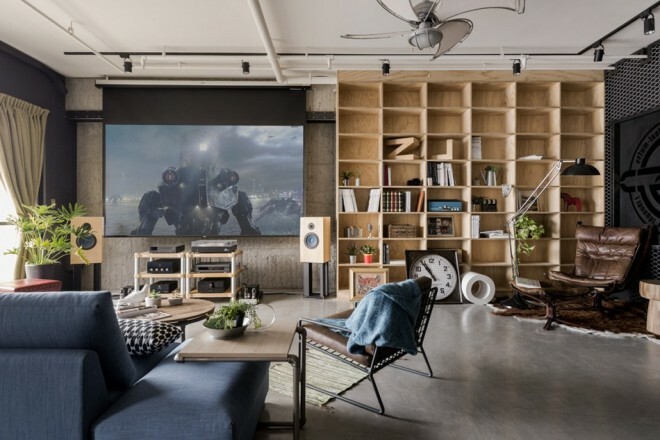 The Fun House, is a 165-square-metre apartment in Zhubei, Taiwan. The interior designers carefully abided by the client’s request that the final result hint at industrial style, albeit infused with colour. A good sign of a true loft: a place with history; if you have a new building though, it’s harder to do – but not impossible. The architect Leo Lugovskoy have done just that: create a space full of compelling legends about a wonderful past. Thus the Midlife Crisis Loft, in the heart of Moscow, Russia was born. Fulton Bag and Cotton Mills is a formerly operating mill complex located in the Cabbagetown neighborhood of Atlanta, Georgia. 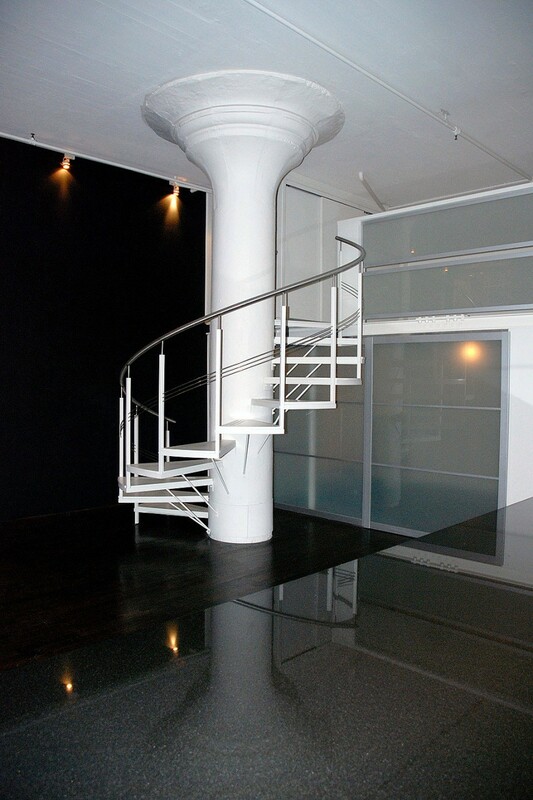 Heirloom Design and Build has outfitted this loft in the Fulton Cotton Mill Lofts. Lofts and cats – what can go wrong? HAO Design Studio designed this apartment in Kaohsiung City, Taiwan for a couple, their three beloved cats, and all of their collectibles. 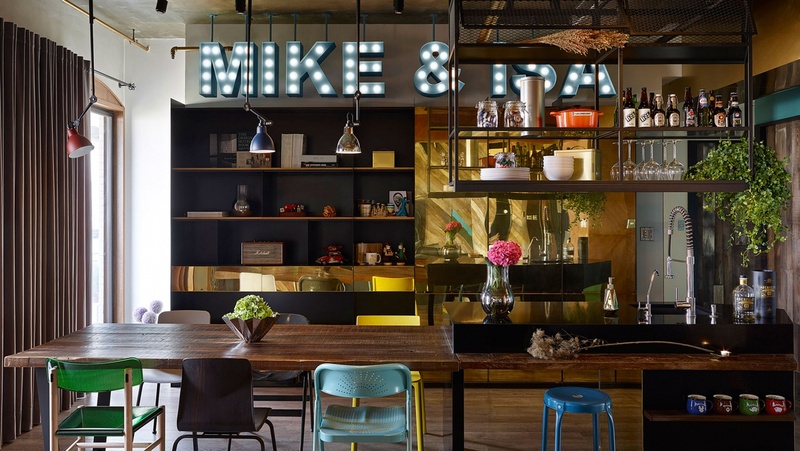 They were using concrete floors, instantly setting the tone for the modern/industrial space. A residence with cats – is this the next internet favorite? 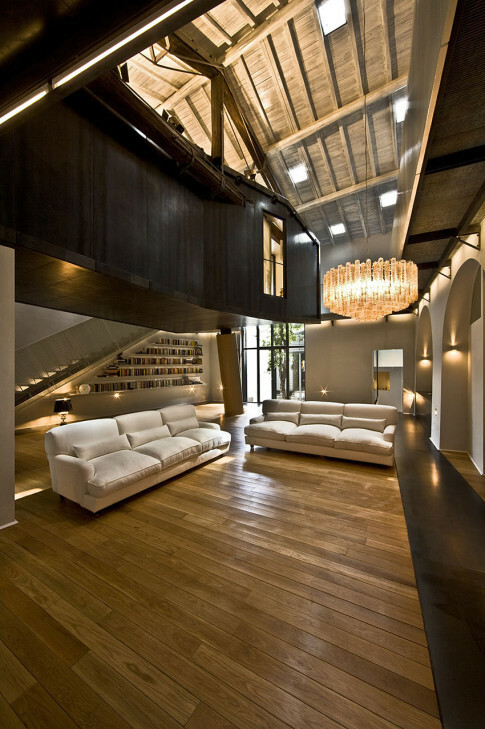 This loft is a converted stable in Trastevere in Rome, the result of a project by Roman architects MdAA. Trastevere was full of such stables until the beginning of 1900’s. Large spaces, developed especially vertically, whose dimensions were obviously dictated by those of the horses and carts. 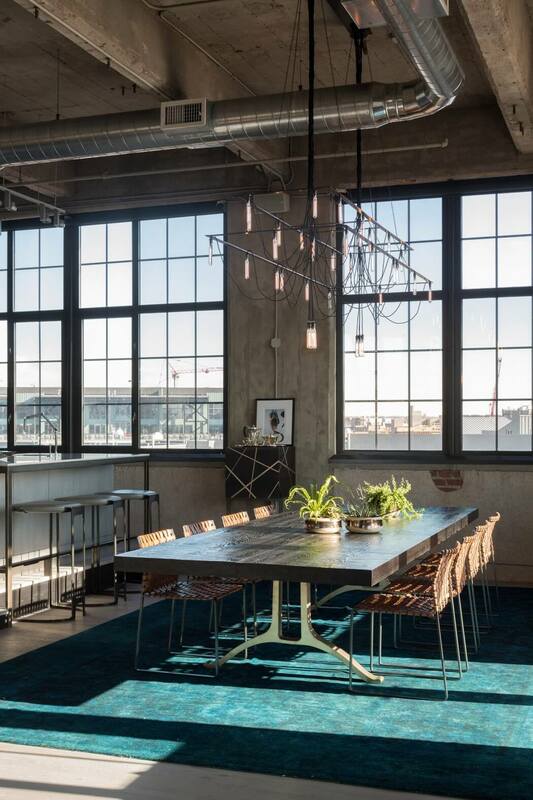 As industrial parts of cities are being transformed into living neighborhoods, there is a bright future for buildings that served as factories, warehouses. 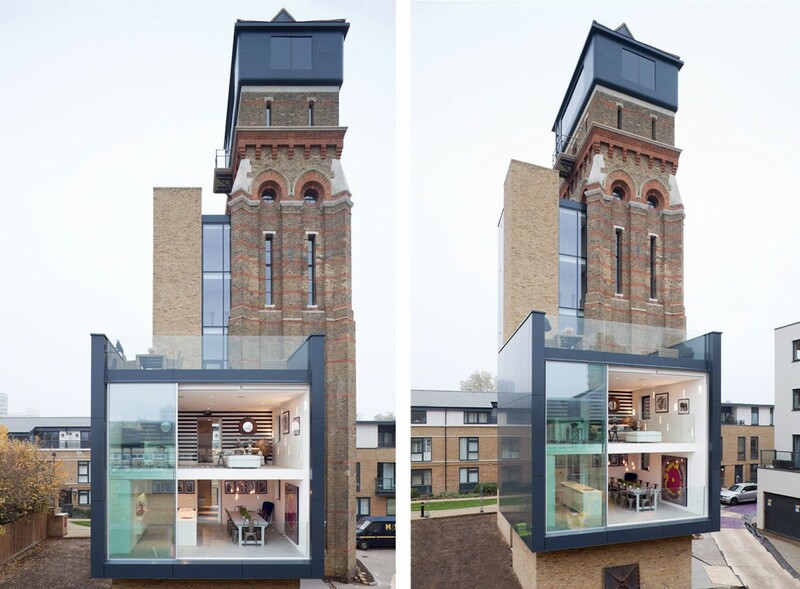 Just as it happened with a landmark Victorian-era water tower in central London.